VISHAY PRECISION GROUP is a global resistive sensor technology, as well as sensor-based systems, company providing vertically integrated products and solutions for multiple growing markets in the areas of stress measurements, weighing modules, and process control systems. Vishay Precision Group (VPG) is a designer, manufacturer and marketer of resistive foil technology products for a variety of applications. 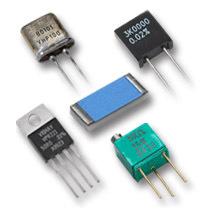 Technical documentation : New Z series enhanced range resistors.